Do you have your degree but you want to expand on it to increase your hiring potential?…advance in your career? ….get that promotion? ….or maybe you just want a few courses to get your certification in Pet Grooming or Massage Therapy? Below is a comprehensive list of the certificate programs offered at some of the finest colleges compiled in an easy to use format. Finance – The Online Finance Certificate will give you 30 credits towards you BS in Finance degree and will give you a head start learning crucial financial planning skills. Forensic Accounting – Interested in learning techniques to uncover fraud via forensic accounting? Holding an Online Forensic Accounting Certificate can allow you to complete your four-year degree with specializations in the professional accounting field. Graduate Certificate in Corporate Innovation – With Post’s highly interactive online classes offered in eight-week modules, you may obtain a Online Corporate Innovation Graduate Certificate and delve into the world of innovation that will enable you to greatly enhance an organization’s needs. Graduate Certificate in Alcohol and Drug Counseling – This eight week course via Post University’s online Graduate Certificate in Alcohol & Drug Counseling is for the individual whom is interested in helping others with their recovery and provide valuable guidance for those struggling. Graduate Certificate in Leadership – By obtaining the Online Leadership Graduate Certificate, you will learn comprehensive leadership skills via course work which will examine individual, team, and organizational leadership. Graduate Certificate in Online Teaching – Are you a teacher interested in teaching in an online format? Post University’s online Graduate Certificate in Online Teaching is for education professionals wanting to make that transition to educating online students. The program is not a teacher licensure program. Graduate Certificate in Project Management – Are you a leader by nature? A Graduate Certificate in Project Management enables a project manager to promote the inner workings of an organization while improving response times along with time, money and people management. Human Resource Management – The Malcolm Baldrige School of Business’ Online Human Resource Management Certificate provides the practical and knowledge skills for enhancing your career and job advancement abilities in the field of Human Resource management. Paralegal (Legal Studies) – In today’s world, paralegals are almost just as important as the lawyer themselves in regards to assuming the legal office responsibilities and they also perform alot of the same work. Paralegals are in great demand as laws become more specialized. Application Development – Obtain skills and expertise in programming and technology development with this course in application development. Accounting – Learn the skills needed to progress in the accounting field in regards to today’s accounting issues while becoming proficient in computer application and becoming an effective business leader. Biblical Studies – Expand your knowledge of the Bible such as biblical doctrine, interpretation, discipleship and evangelism. Upon completion, students may apply any credits earned in the program toward a degree. Business Administration – This course teaches principles and concepts in business administration to students looking to sharpen their skills in management, leadership and human resources. Christian Ministry – Core courses are rooted in biblical theology and doctrine. Criminal Justice – Looking for a career in Criminal Justice? This course enhances your oral and written communication skills in addition to leadership and management abilities. Database – A certificate in Database teaches students to provide organizations with ways to analyze collected content data in addition to troubleshoot and diagnose skills needed to store and retrieve data. Data Networking – This certificate will equip the student with the ability to master information technology practices and how they relate to the business, including learning skills in security and network monitoring. Global Studies – Learn how cultural dynamics shape the workplace and will equip students with the skills they need to effectively build relationships and create successful careers in other cultures. Healthcare Management – Provides insight into finance, ethics and administration in the healthcare industry. Health Sciences – Expand your medical knowledge and skills in the healthcare industry. Information Assurance – Learn the ins and out of today’s computer networking environment, system security, data protection and computer forensics. International Business – Become an expert in the international business world by learning the skills needed to succeed in the fields of business, finance, accounting, and management in the domestic and international marketplace. Military Resilience – This course teaches you how to educate service members along with their spouses, friends, and family about the mental, physical and social, as well as, the spiritual needs of those coming home from war. Paralegal Studies – Learn various aspects of law, rhetoric, real estate, and contemporary worldviews and develop the skills and knowledge needed to succeed as a paralegal. Credits earned in this program can also be put toward a bachelor’s degree. Preschool Studies – Preschool level Sunday School teachers and those working in a daycare or preschool settings will benefit from this certificate program as it will equip the students with a clear understanding of early childhood development issues. Public Administration – Gain insight into the professional, financial and administrative issues in relation to local, federal and state government leadership. Web Development – Learn how to start or advance your career as a web developer with this certificate program. Courses will cover building skills in relation to websites, and building content for the newest state-of-the-art technology. Autism Education – Special education training for teaching children with autism. Biblical Studies – Earn credits toward your master’s degree with this certificate intended to delve deeper in to the study of the Bible. Christian Ministry – Perfect for ministry leaders seeking specialized training in Christian discipleship. Applied Communication Studies – This certificate will prepare the student to work in public relations, mass media or organizational communication. Communications and Business Administration – Obtain skills in time management, research, critical thinking, organization in today’s business environment with this a certificate in Communications and Business Administration. Communications and Human Services – For those students looking to gain insight in the study of human behavior in the workplace. Organizational Communication Studies – Equips students with the skills, standards and processes to enable positive change in business environments. Criminal Justice – A Criminal Justice certificate touches on the wide variety of careers in criminal justice empathizing written and oral skills along with management and leadership skills. Educational Technology and Online Instruction – A tool for educators looking to enhance their skills in development, design and implementation of technologically-based learning tools. Executive Leadership – Focusing on leadership in the organization, management techniques, and developing a student’s marketability for a future master’s degree. General Business – A General Business Certificate is a great stepping stone from undergraduate to graduate degree program by helping students develop both domestic and international marketplace skills along with general business skills. Gifted Education – This certificate is great for teaching strategies and techniques crucial to the improvement of the learning environments for students that are advanced learners. Global Studies – Well-suited for missions pastors, missions agency leaders and cross-cultural missionaries emphasizing in biblical and theological missions work among the world’s diverse cultures. Healthcare Management – Seeking a leadership position in the healthcare industry? With this certificate one will gain insight into ethics, professionalism and finances and learn how to improve procedures and practices within the healthcare field. Management and Leadership – Improve your project development skills via group projects and learn to apply ethics to management practices in the workplace. This program can be expanded with course transfers into their Master of Arts in Management and Leadership program. Marketing – Build skills in consumer behavior, market research, promotions, advertising and management while also building communication and leadership skills. Course credit earned in this program can be directly applied to a Master of Business Administration with a cognate in Marketing. Middle Grades – Specialized preparation for teaching students grades six through eight. This program can also provide the foundation for beginning a master’s degree at a later date. Military Resilience – This certificate is designed to help teach those such as spouses, pastors and friends of those serving in the military about the needs of the service members regarding mental, physical, social and spiritual needs associated with the “hidden wounds of war”. Music in World Cultures (Ethnomusicology) – Provides advanced studies in world music. Course credit earned in this program can be directly applied to a Master of Arts in Ethnomusicology. Outdoor and Adventure Sport – Provides leadership skills to students interested in careers in outdoor recreation and adventure teaching ethics, management and specified skills needed for this career option. Course credit earned in this program can be directly applied to a Master of Science in Sport Management with a cognate in Outdoor Adventure. Pastoral Counseling – This course teaches biblical counseling strategies and principles to students seeking to serve as non-professional counselors. This program is well-suited for students looking to meet the initial requirements of the Master of Arts in Pastoral Counseling. Public Administration – Students can obtain knowledge of professional, financial and administrative issues relating to all levels of government and nonprofits to prepare for a leadership position in the public sector. This certificate is the ideal stepping stone to the Master of Business Administration with a cognate in Public Administration or the Master of Science in Criminal Justice with a specialization in Public Administration. Public Policy – The certificate program will enhance your critical thinking skills in today’s world along with improving comprehension of issues in the careers of government, political and public administrations roles. Course credit earned in this program can be directly applied to a Master of Arts in Public Policy. Preschool – Emphasis in this course is a Christian based teaching method including theories and methodology from a Christian perspective in early childhood education. School Leadership – Teaches skills essential in educational diversity, leadership and community relations in Christian, public and private school settings. Sport Management – By focusing on broadcasting, athletic marketing and facility management, a certificate in Sports Management will help the student to develop leadership and management skills in order to develop and operate athletic programs. Course credit earned in this program can be directly applied to a Master of Science in Sport Management with a cognate in Sport Administration. Theological Studies – Understanding the basic doctrines of Christianity, the study of the Scripture and how these affect the ministry in the church. Course credit earned in this program can be directly applied to a Master of Divinity with a cognate in Theology. Worship Studies – This specialized program gives course focus on qualitative and quantitative research methods, knowledge, and equips worship leaders allowing them to obtain expertise to better serve the church. Graduate Certificate in Advanced Project Management – This program your increases your knowledge to provide you with advanced project management concepts and skills that you can apply to the projects or programs that you lead in your organization. Study portfolio and program management, stakeholder management, and how to effectively integrate the many processes within project management. Graduate Certificate in Business Management – With CareerBoostTM, career management program integrated throughout your courses, you can get credits that can be applied towards the Walden M.B.A. program and gain a clear understanding of all facets of business management. Graduate Certificate in Digital Marketing – Update your existing digital marketing skills and learn new ones with this graduate certificate that will further enhance your knowledge of this ever growing field. Graduate Certificate in Human Resource Management – Build fundamental HR skills and gain a strategic understanding of the ins and outs of Human Resource Management. Graduate Certificate in Leadership – This certificate will provide you the essential skills needed to direct and lead your organization to success ethically and through building inspirational. Graduate Certificate in Managerial Accounting – A Graduate Certificate in Managerial Accounting wears many hats…whether you are preparing for the CPA exam, the CMA exam, developing your credentials or earning CPE credits, you can help advance in your career and add value within your company. Post-Doctoral Bridge to Business Administration Certificate – Courses in leadership, marketing, finance, and international business will allow you to advance your career in teaching. The program is designed for post-doctoral degree professionals. Post-Doctoral Bridge to Management Certificate – This Post-Doctoral certificate program is designed for those professionals who already hold a doctoral degree and need to take additional doctoral courses in areas such as leadership, finance, human resources and information systems. Graduate Certificate in Communication – Sharpen your creativity and skills with this graduate-level certificate and explore beyond written, oral, social media, technology and interpersonal and group communications often referred to as the five pillars of communication. The following education based courses are designed to add to your existing insight and knowledge in the fields of everything from adult education to early childhood education. 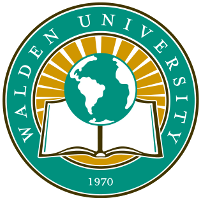 Click on each link below to take you through Walden’s descriptions of each course in fine detail. Graduate Certificate in Clinical Research Administration – Imagine the difference you, as a scientist, nurse, doctor or any public health professional, could make in the lives of many by taking your career in a new direction with this graduate certificate in Clinical Research Administration. Graduate Certificate in Information Systems – This four-course program will allow you to extend your existing information technology (IT) skills to advance your career as a computer support or help desk specialist and a systems administrator. Post-Master’s Certificates in Nursing – This Post-Master’s Certificate can help you boost your skills, achieve a higher professional recognition, create new careers options and much more. Gain greater knowledge in this field with a specialty course in Psychology based on your graduation degree of Baccalaureate, Master’s, or Doctoral achievements. Deepen your understanding of Public Policy and Administration key issues on a local, state and federal levels by obtaining Undergraduate, Graduate and Post-Master’s Certificates in this ever-growing field. Certificate – Project Management – This certificate will provide you with the tools and techniques needed to successfully plan for real business projects by equipping you with skills to initiate and present project plans. Certificate in Information Technology – Information Systems Management – For those who are looking for focused study without the degree, this specialization in Information Systems Management will introduce you to the core elements of analysis, design, development, implementation and the management of information systems. Certificate in Information Technology – Java Development – This certificate will provide you with a specialization in Java Development. Certificate in Information Technology – Object Oriented Application Development – This certificate holds a specialization in Object Oriented Application Development. Certificates offered by Capella University are short-term, focused, 4 to 6 “targeted” courses designed to increase your skill set and therefore, advance in your career. Flexibility is key with an online class and Capella offers just that along with many opportunities to choose an option that fits your needs. Take courses ranging from Management Consulting to Business Intelligence with Capella’s Post-Baccalaureate Business and Technology Certificate courses. Capella also offers a Professional or Senior Professional in Human Resources preparation course. Counseling and psychology post-baccalaureate certificates include courses in diversity studies, play therapy and behavior analysis, as well as contemporary theory in: mental health, addiction, and couples and families. Capella also offers a post-masters certificate for graduates of our master’s specialization in School Psychology. Education post-baccalaureate certificates obtained through Capella University include courses in adult and higher education. Capella also offers post-masters certificates for college teaching, and enrollment management. Health care and nursing post-baccalaureate certificates include courses in nursing leadership, diabetes nursing, and health administration. Public service post-baccalaureate certificates include public safety courses, such as criminal justice, and interdisciplinary forensics, as well as public administration courses such as health administration, nonprofit management, and social and community services. Core Business Competencies – Designed for working professionals, this online business certificate allows you to gain knowledge and skills in critical thinking, enhance your productivity and learn new concepts that will allow for growing revenues and streamlining costs in addition to broadening your perspective. Fire and Emergency Services Administration – This is a five course program built to increase your knowledge and abilities in regards to becoming a leader/manager/administrator in the fire and emergrency services field. Post-Baccalaureate Pre-Health – Interested in pursuing a graduate or a professional degree in one of the fields of gerontology, nutrition, pharmacy, dentistry and many other related areas? This post-baccalaureate pre-health course is for those looking for start their career, change careers or just gain additional, valuable knowledge in their current field of work. Residential Interiors – Learn the principles of residential interiors and design in this three-course series. Gain functional knowledge to evaluate use of color, lighting design, floor plans, furniture arrangements, etc. with this fun, yet informative course in interior design. Seed Technology Training – Gain knowledge by taking the comprehensive course in seed analysis that will help you prepare for a career as a seed analyst. Adult Basic Education Authorization Training – Become competent in the field of family literacy and adult basic education by gaining you Adult Basic Education Authorization. Advanced IT Project Management – This course provides a deep understanding of the 10 knowledge areas as required by the Project Management Institute. Designed for both technical and non-technical students who want to gain knowledge and skills pertaining to software development or IT project management. Advanced Science Instruction – This three-course series will enhance your research skills and advance your knowledge pertaining to teaching secondary school science courses. Applied Statistics – Designed for working professionals and graduate students in a plethora of fields to improve statisitical and comoputational skills. This certificate covers the science of collection, organization and statistical analysis of data but also focuses on understanding and meanings that are uniquely focused. Business Intelligence – A certificate in Business Intelligence allows the student to become skilled and knowledgeable in the areas of business optimization, analysis, forecasting and other business objectives. You will learn the importance of data mining and its application to the business. Campus Crisis Management – This five course series will help you prepare for and deal with crises such as natural disasters to student illness outbreaks on a college campus. You will gain an understanding in the planning, prevention, response and recovery of any crisis situation while also learning law in student affairs and human relations skills. Computer Information Systems – Learn a great deal about computer information systems with this three-course series that will wal you through the strataegic role and management of projects and technology. This course is designed for those who work with or coordinate with an IT department, or whom may have clients or customers in the technology fields or jsut want to gain insight into the world of information systems. Computer Systems and Security – Learn how modern computer systems are designed and implemented as well as how they communicate with each other and learn the ins and outs of security protocols pertaining to secure networked computer systems. Conflict Resolution and Mediation – Apply these conflict resolution skills that can be applied in many areas including in a managerial position, in the teaching world, as a community member or even a professional mediator. Data Analysis – Are you responsible for organizing and analyzing data that is complex then this course is for you. You will discover how to evaulate data from various data mining and collection techniques in addition to present that date in a tabular or graphical form and comunicate the results. Embedded Systems – Understand the inner workings of hidden computing devices inside the latest technology such as smart phones, digital cameras, etc. including hardward design and software engineering principles. Finance – Gain a broader knowledge in advanced corporate and international finance in addition to financial institutions and credit markets. Natural Resources and the Environment – This four course certificate progrm will prepare you to become knowledgeable in the areas of natural resources management nd environmental science. Organizational Development – This three-course certificate program will train you in the core pompetencies needed to advance your career as a human resource specialist, management consultant or a training professional or even as an industrial/organizational psychologist. Organizational Learning and Performance – This is a detailed certificate program in which you will learn how to go about handling more complex organizational problems that arise and how to deal with interaction and improve interventions with teams,, processes and functions to improve the organization as a whole. Performance Management – This three-course certificate provides you with the practices and concepts relating to systems and technologies that help you manage the performance of those working for you in organizations and is designed as a tool to advance your career as an I/O psychologist. Postsecondary Teaching – This course consists of three courses designed to advance your career in higher education by preparing postsecondary instructors with more advanced administrative leadership roles. PreK-12 School Social Worker – Gain conflict resolution skills needed to balance the unique challenges of the needs of students, teachers, families and administrators within a school setting. The program is designed for those holding or are in the process of earning a Master of Social Work. Psychological Measurement and Methodologies – Obtain skills and techniques for designing laboratory and field research studies, analyzing research data, conducting reserach and evaluating others within the field of industrial/organizational psychologist. Radiation Safety – Interested in a career working in the areas of either ionizing or non-ionizing radiation? This course will keep you current regarding online radiation safety. Software Engineering – This three-course certificate course teaches you how to engineer or develop high quality software to meet the needs of the organization’s changing needs. Student Affairs Business Management and Auxiliary Services – This six-course online certificate blends management practices with student affairs concepts by enabling you to design business solutions that will enhance the campus programs and services such as housing and dining, conference and special events, and student union operations to name a few. Student Affairs in Higher Education – Does your passion involve helping students realize their potential? Then this four-course series is for you. Your knowledge will help students in the areas of admissions, financial aid, advising, residence life, student activities and much, much more. Sustainable Military Lands Management – This one-of-a-kind program will enable you to gain the necessary tools needed to understand the complexities of supporting both civilian and military land management. Systems Engineering – This four course study will instill the key core skills needed to practice as a systems engineer by preparing engineers and their professionals in energy, aerospace technology, biosciences, and much more. Teaching with Technology and Distance Learning – This four course study program provides instruction in state-of-the-art learning technology for both face-to-face and distance learning settings for teachers looking to enhance their communication and interaction with distance learners. Water Resources – A Colorado and western US based course of study, this certificate will help you advance your career in water resources planning management and policy involving the water issues in the state and surrounding states via case studies and applied exercises. Workplace Learning and Performance – This unique certification program will allow the student to learn to effectively analyze, design, develop, implement and evaluate programs to enhance the performance of the workplace. Cottage Foods Training – Interested in a cottage food business? This three week course guides you through the Cottage Foods Bill passed by the Colorado Legislature which will ensures the safe handling of your products when you sale them at holiday fairs and farmers’ markets. Ergonomics – Ergonomics in the work place is essential. This program will delve into the history of ergonomics, posture, work design, occupational stress and much more. With this knowledge one can apply their skills to improve productivity and reduce employee downtime. Project Management – This 16-week course in project management is formulated for working professionals that are too busy to attend a face-to-face class routine. The certificate will ensure that you have demonstrated your competency as a project manager and will allow you to add a piece to your portfolio by completing a project that applies lessons from each unit. Radiation Safety – Keep abreast of the latest in radiation safety by signing up for this course if you are seeking to advance or even begin your career in this area of study. Sustainable Community Development – Learn through case studies, exercises and group discussions on how to create solutions that meets your community’s needs. Veterinary Medicine – Continuing education courses for veterinarians and vet assistants designed to serve those looking to renew their license and seek professional development. Adult-Gerontology Nurse Practitioner Certificate – This post-master’s certificate is designed to help professional nurses promote holistic care to the adult population by helping to diagnose and manage their health problems and to serve as an advocate for them. Applied Behavior Analysis Postbaccalaureate Certificate – This post-baccalaureate certificate is designed for those whom are looking to advance or diversify in this field. Consisting of five courses, it’s focus of study is on the autistic, developmentally disabled and those whom have traumatic brain injuries among understanding behavioral concepts and theories. Autism Spectrum Disorder (ASD) Postbaccalaureate Certificate – This certificate focuses on applied theory and ethics in regards to autism and is designed specifically for early childhood professionals. Cisco Networks Postbaccalaureate Certificate – Learn the fundamentals for Cisco Networks and the rapidly growing area of information technology. Computer Forensics Postbaccalaureate Certificate – This certificate program will help you gain knowledge and technical skills in the pursuit of a career in computer forensics at the entry-level position and consists of a minimum of 28 quarter credit hours. Corrections Certificate – This certificate is designed to help you advance in your current career in a corrections facility or gain that entry-level position by learning the necessary skills in this ever-changing field. Crime Scene Technician Certificate – Want to pursue a career as a Crime Scene Technician? Learn skills that will help you visually identify minute details of and relating to a crime. Executive Leader Graduate Certificate – Become an Executive Leader in the healthcare industry with this graduate certificate from Purdue University Global. This course is designed to aid professional nurses looking to pursue leadership roles and managerial positions in hospitals, long-term care facilities and other areas of the health care system. Family Nurse Practitioner Certificate – Promote holistic care to adults and children with this post-master’s certificate by becoming a Family Nurse Practitioner as well as, becoming an advocate for your clients in the healthcare system. Graduate Certificate in Accounting – Consisting of a minimum of 16 quarter credit hours, this certificate program will explore the areas of auditing techniques, business law, cost accounting, accounting and financial reporting systems. Graduate Certificate in Addictions – Courses in this program are designed to focus on many aspects of addictions including chemical and psychological dependency counseling, group counseling and psychopharmacology. Graduate Certificate in Human Resources – Build a brighter future in human resources with this graduate certificate from Purdue University Global. Graduate Certificate in Industrial/Organizational Psychology – This graduate certificate is offered to help the leaders and professionals in this field obtain a wider knowledge of the principles of I/O psychology in organizational and business settings. Graduate Certificate in Instructional Design for Organizations – Are you a motivated educational professional seeking a master’s level certificate? Then this course is designed for you by preparing you to design, develop and evaluate instructional materials, media and more in corporate and military environments. Graduate Certificate in K-12 Educational Leadership – Designed for K-12 teachers looking to develop their skills in educational leadership with an emphasis in school finance and operations, legal issues in education, supervision and staff development to name a few areas of study. Graduate Certificate in Literacy and Language Teaching – This master’s level certificate program is designed for the motivated educational professional in mind. This would include elementary and secondary educators who want to develop skills in teaching students literacy and improving language skills. Graduate Certificate in Mathematics Teaching – Middle school and secondary school teachers looking to develop their knowledge and skills in the area of mathematics will highly benefit from this master’s-level certificate program. Graduate Certificate in Online College Teaching – Courses within this certificate program will enable the student to learn how to work successfully with adult learners, as well as, provide effective online learning instruction and assist the online student in an off-campus format. Graduate Certificate in Project Management – Looking to grow as a Project Manager? Upon completion of this certificate program, you will have learned valuable skills to grow and expand, as well as, take the Project Management Professional (PMP) certification exam. Human Resources Postbaccalaureate Certificate – Offering a targeted study in Human Resources, this certificate will help you stand out to your employers and enhance your expertise in your career. Information Security Postbaccalaureate Certificate – Succeed in the IT field with this postbaccalaureate certificate course by acquiring the skills and knowledge needed to learn the ins and outs of information security. Legal Secretary Certificate – Hone vital secretarial skills needed to help you become successful in the workplace by taking this course in becoming a legal secretary. Linux System Administration Postbaccalaureate Certificate – This course covers Linux network administration, installation aqnd configuration, network security and recovery. Management and Supervision Certificate in Criminal Justice – This course focuses on the roles managers play in criminal justice organizations. Medical Assistant Certificate – This comprehensive course of study in medical assisting will provide you with hands-on training on equipment used in a medical setting. Medical Billing and Coding Certificate – A certificate in Medical Billing and Coding will provide you with lessons in physiology, anatomy, pharmacology, as well as, medical billing, coding and terminology, insurance billing and medical office management. Microsoft Operating Systems Postbaccalaureate Certificate – Explore PC configuration, maintenance, network and desktop administration, and examine Microsoft operating systems with this Microsoft Operating Systems postbaccalaureate certificate program. Multiplatform Software Development Postbaccalaureate Certificate – This curriculum will provide you with the opportunity to study in the areas of website design, graphics, multimedia and technologies and strategies, as well as, explore different types of Web authoring software. Nurse Educator Graduate Certificate – Complete five courses focused on nursing education for those pursuing a position of teaching nursing and continuing education, clinical education and staff development to name only a few areas of study within this program for nurses whom have received their master’s degrees. Oracle Database Administration Postbaccalaureate Certificate – Explore the topics of relational database management systems, SQL and PL/SQL programming languages, database query design, database management systems and the Oracle Database administration with this online certificate program. Pathway to Paralegal Postbaccalaureate Certificate – Enter the Paralegal industry with this post-baccalaureate certificate program or advance in your legal field career. Phlebotomist Certificate – Becoming a phlebotomist consists of drawing one’s blood and with this course teachers combine classroom instruction as well as hands-on training to enhance the learning experience. Postgraduate Certificate in Applied Behavioral Analysis – This certificate program focuses on the understanding of behavioral concepts and theories and helps ones that have a master’s degree to advance in their career. Private Security Certificate – An exciting career is waiting for you in Private Security. This online curriculum helps you to develop the fundamental skills needed for preventing and investigating various types of crime and understand the U.S. criminal justice system.